Expert trenchless sewer repair, commercial and residential sewer service, gas line leaks, water line repairs, and much more. No job is too large or too small! Call us today and experience our flawless customer service! Do you have a faulty sewer pipe but not sure where the damage is located? Many plumbing companies require complete excavation of your yard to find the source of the problem. Not Angel Plumbers. We do sewer camera inspection in the LA area 310-254-9401. This technology, known as sewer video inspection, allows us to snake a camera through your pipes to locate the source of a problem, without digging up your entire yard. We will only dig where it is needed, saving you time and money. Trenchless sewer repair is one of our many specialties. Contact the experts at Angel Plumbers to learn more about sewer camera inspection. Here in Southern California, we know how dry it can be. We also know that when it does rain, it pours. So when these downpours come, it is important to make sure your storm drains can handle it. What if I need storm drain repair in Woodland Hills CA? Not to worry! Angel Plumbers is equipped to analyze any problems surrounding your storm drains and make the necessary repairs. Storm drains can become worn down very quickly and it is important that you have peace of mind in knowing that yours will function when the time comes. Contact the experts at Angel to learn more. Tired of running out of hot water when you need it? Tired of getting an outrageous energy bill each month? A tankless water heater might be the solution for you. We’ll discuss what is a tankless water heater and why you need one. Traditional water heaters use a lot of energy to the water that it stores. Tankless water heaters heat water instantly as it passes through, rather than storing this water in a tank, making it an extremely energy efficient water heater. This allows you to have instant hot water without running out. In addition to its energy efficiency, tankless water heaters remove the risk of you having a flood in your home cause by a traditional tank. There are warning signs that you should be aware of if you believe you might have a sewer drain clog. Several things can cause a clog in your drains - grease, toilet paper, soap, and hair, are just a few. 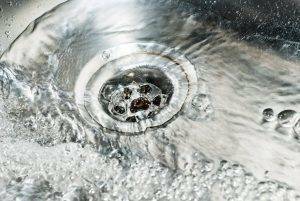 Here are 5 signs that you may have a sewer drain clog in Santa Clarita CA. If you flush your toilet and hear gurgling of your bathtub or sink drain, there is a high likelihood that you have a clog in your system. Having a clog in several drains at the same time, there is a serious problem that needs to be addressed. Air gets trapped in a drain as water tries to pass a clog. This creates bubbles. These bubbles may become evident when you flush a toilet or when you drain a sink. In order to truly find out if it’s a clog, you’ll need to fill up the sink and tub/shower with a little water (a few inches) and let it all drain out. Noticing bubbles appearing in any of the drains alerts you to the problem drain that needs to be fixed. This is a huge sign that there is a problem occurring with your system. If your toilet isn’t flushing normally and plunging does absolutely nothing, then it is likely that there is a problem with your sewage system that needs to be immediately addressed. Many sewer systems have something that is called a ‘cleanout.’ The cleanout gives plumbers an easier way to access the sewer line. It is located near the house, but out of site: typical under shrubs or other plants. It is also something that allows excess wastewater (not sewage) to flow out. If you notice water puddling/pooling around this, there might be a problem with the main sewer line. Many times, trees and other plants can become large, causing their roots to grow in order to support the rest of the plant. This can lead to roots becoming entangled with pipes. Be aware of where your trees and other large plants are in relation to your sewer line. Sewer problems can come from roots intruding your pipes, cause a leak or backup. A possible solution could be hydro jetting pipe cleaning that utilizes pressurized water to remove any obstructions to the flow of water and waste. If you’ve noticed any of these abnormal scenarios occurring, contact the trusted plumbers at Angel Plumbers and we’ll get started on finding a solution to your problem. Finding the best emergency plumber for sewer line repair in Los Angeles is an important task to accomplish. You need a company that is trusted and honest. That’s where Angel Plumbers come in. Our expert plumbers are equipped to solve a multitude of plumbing-related problems any time of the day. That’s right! Angel Plumbers have a unique, 24 hour emergency plumbing service. Call us day or night, we’ll be there. There is a plethora of plumbers in the Los Angeles area. So why choose Angel Plumbers 310-254-9401? Our experienced plumbers provide you with honest, top quality service in a timely manner. As a family owned operation, we have years of experience in the plumbing industry. Angel has invested in the proper equipment and training the right people in order to tackle any task. Contact Angel today to learn more about how we can help you.